In these lean times, we must be discerning about the causes to which we donate our energy and money. Sure, we’d like to give to every worthy charity and needy neighbor, but alas our resources are finite. So, do we perhaps give a portion of our expendable income to a homeless shelter or soup kitchen? Do we give to starving children in Africa? Do we put our money towards education for the disadvantaged? Do we concentrate on nurturing, sheltering, clothing, protecting, blessing, and loving our fellow human beings? Or do we negate the need for such things by opting to fund the extermination of the very sorts of humans that might end up requiring our charity, should they be permitted to exist in the first place? Do we feed them, treating them like hungry friends, or do we fumigate, treating them like swarming cockroaches? If the ease and efficiency of the latter option appeal to you, The DC Abortion Fund is here to help. They are an “all volunteer, non-profit” organization dedicated to offering abortion grants to underprivileged women. No word on whether they are the sort of non-profit that doesn’t turn a profit, or the sort of non-profit that, like Planned Parenthood, rakes in over a billion dollars a year (half from taxpayers), pays their executives enormous six figure salaries, and banks a large but totally non-profitable profit. Whatever the case, as the website stipulates, their services are needed because women face a “multitude of state and national restrictions designed to deny their access” to abortion. True enough. Think of the rigorous controls they have in places like Pennsylvania, where a serial killer was able to operate a well known baby butchery in plain sight for three decades, with nothing stopping him from keeping baby corpses in his fridge, or drowning babies in the toilet, or segregating his waiting room based on race, or drugging women with dangerous narcotic cocktails, or perforating their insides with unsterilized equipment leaving some of them dead or permanently infertile. Imagine what he could have done without all of those restrictions cramping his style. 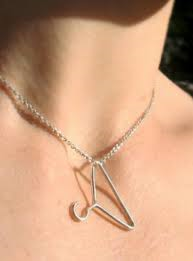 Yes, really, a coat hanger pendant. How might this be described? Well, some particularly sensitive folks may use a word like “offensive,” or “despicable,” or “disgusting,” or “maniacal,” or “crass,” or “psychotic,” or “evil,” or “degrading,” or “repugnant,” or “repulsive,” or “vulgar, or even “debasing and cruel,” but not everyone shares these sentiments. Who wouldn’t want to help, Colleen? Personally, I love this idea. I wish more abortion groups would be this honest and forthright about their intentions and their character. In fact, I love the idea so much that I’d like to offer a few suggestions for future fundraising incentives. 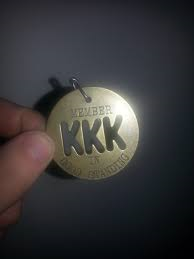 Next year, maybe they should give a KKK medal to their loyal donors. This spiffy accessory could represent the abortion movement’s startling success at doing something that the KKK could only dream of accomplishing: the mass genocide of an entire generation of black people. For some strange reason, pro-choicers were silent last week when news broke that, in 2012, more black babies were aborted in New York City than born. Overall, black people make up 13 percent of the population, but 30 – 35 percent of abortions, as even this pro-choice website will attest. Since 1973, it’s estimated that about 16 million black people have been killed through abortion. Could anyone possibly argue that the black population has benefited from such a steep reduction in its numbers? 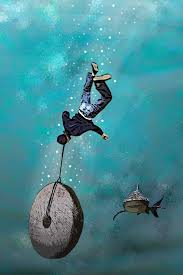 Could anyone pretend to have great concern for minority groups while actively promoting policies that will lead directly to their extinction? Abortion has been unquestionably devastating to the black race, and the same political party that enthusiastically supports it is the same political party that owned slaves, opposed civil rights, and founded the KKK. 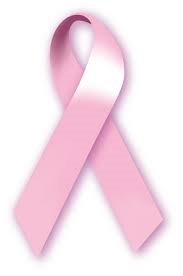 This breast cancer ribbon could remind donors that they are helping to increase breast cancer across the nation. Despite the assertions of biased academics and media types, the link between abortion and breast cancer is well established. A meta-analysis by Chinese researchers, published in a peer reviewed journal called Cancer Causes and Control, found that women had a 44 percent increased risk of breast cancer after an abortion. After two abortions it jumped to 76 percent. After three, the risk went to 89 percent. Indeed, out of the 70-some studies on the abortion-cancer link, over fifty of them found an association. 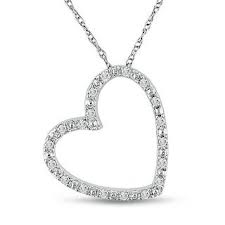 A heart necklace represents the unborn child’s heartbeat, which can be heard only a few weeks after conception (although it doesn’t count as ‘alive’ until an arbitrary point sometime later). The vast majority of abortions happen after the baby’s heartbeat can be detected. 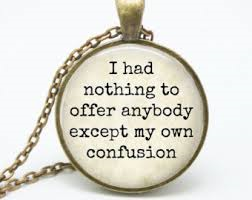 This is a pendant with a literary quote from a Jack Kerouac novel, but when I see it I can’t help but think of pro-choicers. Specifically, I can’t help but think of the common abortion enthusiast’s claim that a “fetus” is a human but not a person. This is confusion at its most confused. If you really want to parse these concepts, you might say that a person is the actual self of a human being. In other words, it would be accurate to say that a dead human is still a human but not a person. Or else, the corpse is a human corpse, but it is not itself a person. Now, is an unborn human the same as a dead human? No, of course not. “Unborn” is really just a matter of development and physical location, whereas “dead” is a much more permanent and non-negotiable situation. The question becomes this: does the fetus have a self? If it does then it is a person. If it is a person then it has rights. Here we get to the most confused bit of confusion in the perpetually confused pro-choice position. They claim that the fetus — though it exists, and is alive, and is human — has no self. But how can this be? Trace your own self back through your timeline. Retrace all of your steps. Go backwards through your entire existence and your path will lead you directly to your fetal state. I can follow the Path of You, right to the point when the Reality of You went from a mere potential to a solid actual. That point is, and can only be, conception. YOU were once a fetus. The fetus was YOU. YOU were the fetus. How could you be you but not you at the same time? How could you be the potentiality of you, but also the actuality of you, all at once? How can ANYTHING be at once fully potential and fully actual? How can I be potentially me and actually me? How can you track your existence back to the existence of a thing that was you, but wasn’t you? Maybe this is a bit too abstract for a fundraiser giveaway. Perhaps the coat hanger is the best idea, after all. “Safe” abortions have killed at least 400 women. The “reproductive health care industry” funnels them through, takes their money, and spits them out the other end, leaving many (all) to deal with the very real consequences. According to the Elliot Institute, 31 percent of post abortive women report physical complications, while 65 percent suffer from PTSD. A peer reviewed study, published in the British Journal of Psychiatry, found that women who’ve had abortions suffer from an 81 percent higher risk of mental health problems. Worst of all, the suicide rate among these women is tragic and startling. Safe for the abortionists, I guess. Every once in a very, very long while one of them might find their prestigious baby-killing career cut short by a misguided anti-abortion vigilante, but this is an extreme rarity. For the most part, they make out pretty well. The same can’t be said for their victims — both mother and child — but at least someone’s making a few bucks out of the deal, right? Well, maybe that’s a fundraiser for a different year.